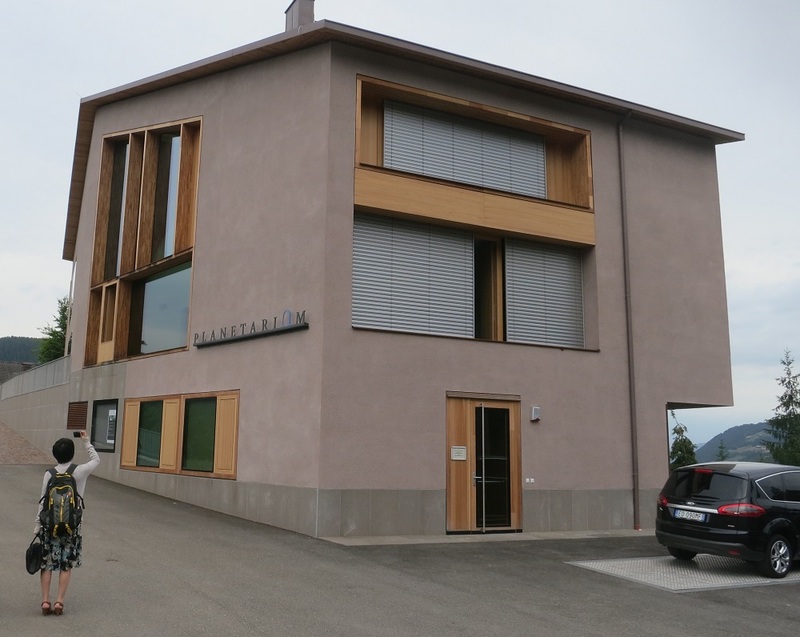 The 2013 IPS council meeting took place at the Planetarium South Tyrol. 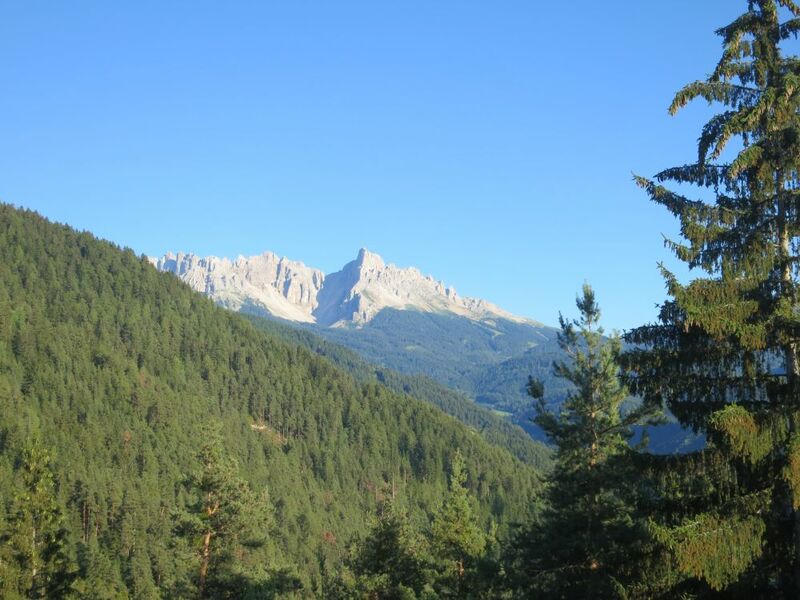 The planetarim is located in the idyllic village of San Valentino just north of Bolzano and has a spectacular view of the Dolomite Mountains. It was delightful to meet the young and enthusiastic staff who presented their first ever show in English to the IPS council. Architecturally, the building and dome look fantastic. It is a simple, almost stark design however the natural timber used throughout the building give it a warm and rich feel. 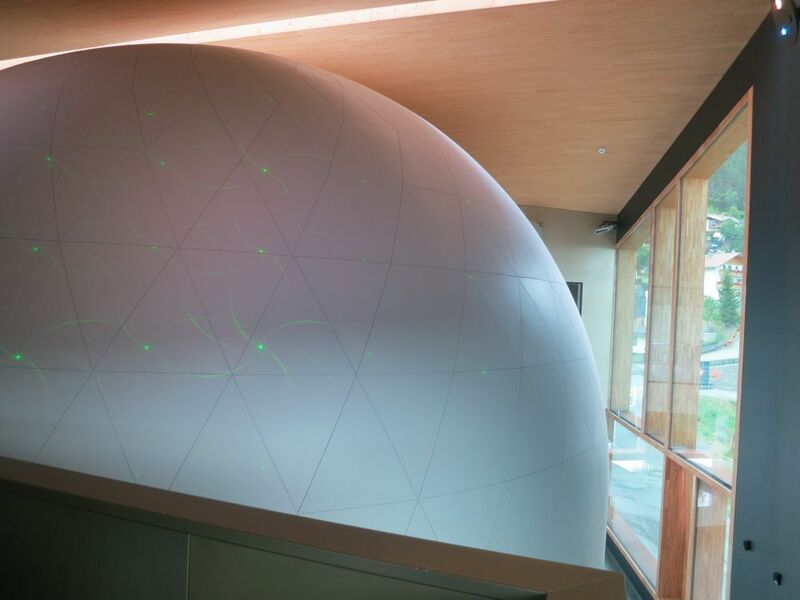 The planetarium seats 55, has a 7.1 surround sound system, and uses five F35 Projection Design projectors. The projectors run at 120Hz, this means that they can also project a 3D stereoscopic image at 60Hz. This small planetarium is very well equipped, beautifully designed and built, and has stunning scenic views. What more could you ask for? Bravo! This entry was posted in Uncategorized and tagged IPS, Italy. Bookmark the permalink. Hi, i’m Johannes from the observatory “Max Valier” South Tyrol. Glad that you liked our planetarium. How did you liked our observatory and especially the volontary work we make? Maybe in the future we attract more international public thank to this meeting. Great to hear from you. Yes, I was very impressed by your observatory and had a wonderful time on the Saturday night watching the meteor shower and viewing through your telescopes. I even was fortunate enough to catch sight of a meteor as it streaked through my view through the telescope. You and the volunteers are doing a fabulous job at the observatory. I wish you all well, and do hope that you get more visitors and the attention that you all deserve. and wish you all the best for the future as well.